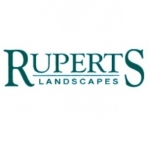 Rupert's Landscapes has been creating traditional and contemporary gardens for many years. Over the years we have gained a great reputation for the standard of work we carry out; from large country gardens, to family and urban spaces. Most of our work now comes through recommendation from many of our past and satisfied clients. We are based in St Albans, Hertfordshire, and carry out work throughout Hertfordshire and North London. Landscaping and building gardens covers a wide range of skills of which we offer all. This means that from the first consultation and design right through to the tidying up, you are dealing with one company. The installation of paths, fences, ponds, lawns, planting, patios, driveways, pergolas, decking, seasonal essentials or sometimes an area of your garden that may just need some attention, is all done under one roof. You may also not need the whole garden landscaped but just the patio extended or the fence fixed, we can take care of that too.